Tango pendant is dramatic and elegant. 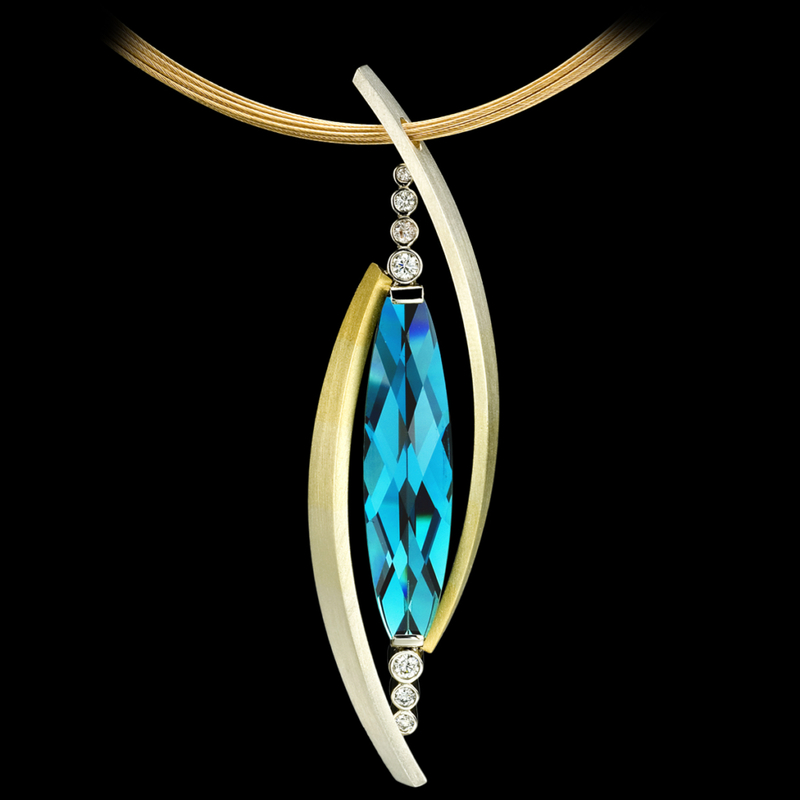 This unique pendant design features sweeping curves of gradient SpectraGold™, diamonds and a luscious blue tourmaline, cut by Stephen Avery. To purchase, call (949) 715-0953 or use our contact form below.